Along the banks of the Loire between the Anne-de-Bretagne Bridge and the Victor-Schœlcher footbridge, A planted walk covering 1.73 acres is lined with 2,000 glass inserts, 1,710 of which commemorate the names of the slave-ships and the dates on which slavers left the port of Nantes. The remaining 290 inserts name the slave-trading posts and the ports of call and ports of sale in Africa in the Americas and the Indian Ocean. Visitors’ steps guide them along this memorial path, allowing them to become aware of the magnitude of the tragedy at their own pace. 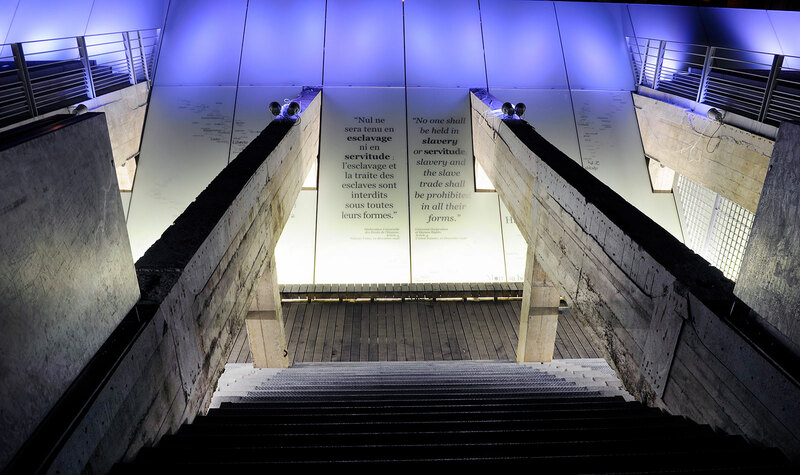 A broad, open-air staircase leads visitors from the esplanade to the underground passage, where they are welcomed by The Universal Declaration of Human Rights, behind which the word Freedom appears in 47 languages from countries that suffered from the slave trade. Once they are in the passage, visitors see the Loire River on their left between pillars, and a 90-meter glass plate wall along their right. At the Western-most point of the passage, a group of historical and geographic keys resituate the Atlantic trade within its context, stressing the magnitude of this history and the past and present struggles against slavery. Download the chronology of abolitions. For the city of Nantes, the Memorial to the Abolition of Slavery bears witness to its now accepted past, which transcends local history. 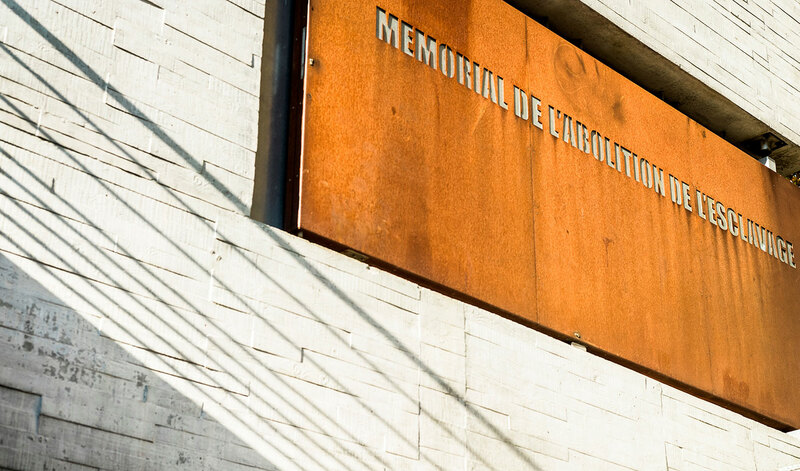 The Memorial carries a universal message of solidarity and fraternity is a tribute to the millions of victims of the slave trade and slavery throughout the world, to those who rose up against this crime, and to struggles past and present. Its international significance and broader purpose are not explaining history but providing a focal point for a collective awareness that refuses any form of slavery and that affirms the richness and diversity of Humankind. The Memorial to the Abolition of Slavery opened to the public on March 25, 2012. It is located on the Quai de la Fosse, the symbolic departure point of many slave ships that sailed towards Africa. There are numerous monuments that commemorate the victims of the slave trade or the abolition of slavery around the world. The Nantes Memorial is among Europe’s most important monuments and one of most extensive in the world. In the 18th century, Nantes was the busiest French slave port, deriving much of its wealth from this egregious trade in human beings that is now recognized as a crime against humanity. 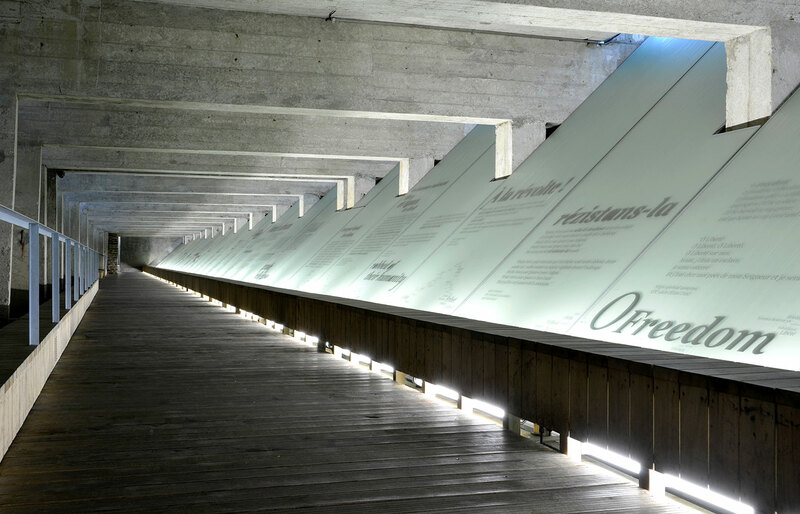 In the 1990s, the citizens of Nantes and city officials initiated the slow, complex process of confronting this history. 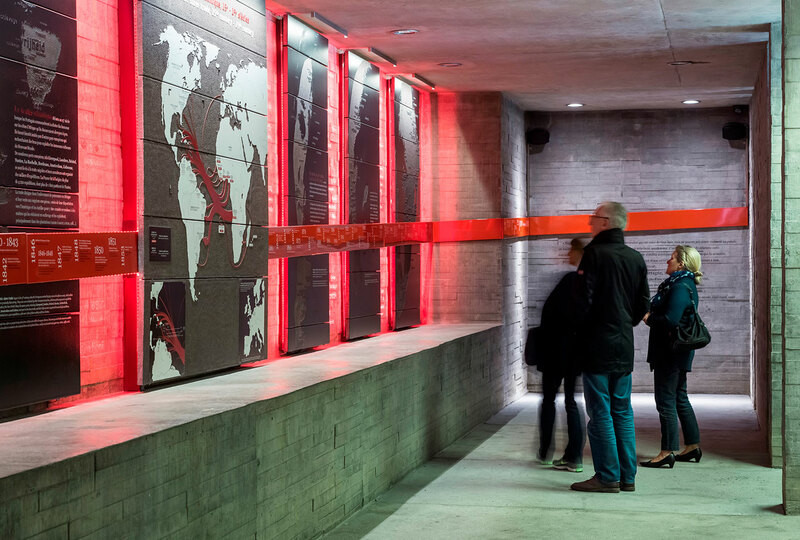 In 1992, the exhibit Les Anneaux de la Mémoire (The Shackles of Memory) helped over 400,000 visitors understand and analyze the historical facts of the slave trade. Since that time, Nantes has pursued its quest to retrieve and honor memory. For the past twenty years, the city has hosted local and international actions, such as cooperation and twinning with African and South American towns, supporting civic organizations, implementing the World Forum on Human Rights, opening exhibit spaces in the Nantes History Museum devoted to the slave trade and the Institute for Advanced Studies, with its unique approach to North-South relations. The Memorial was constructed in 2012 as a tribute to all those who fought, who now fight, and who will continue the fight against slavery marked the passage from one cycle of remembrance to another : the present and the future. In 1998, during the 150th anniversary of the abolition of slavery, the City Council decided to sponsor the construction of a commemorative site on the Quai de la Fosse. 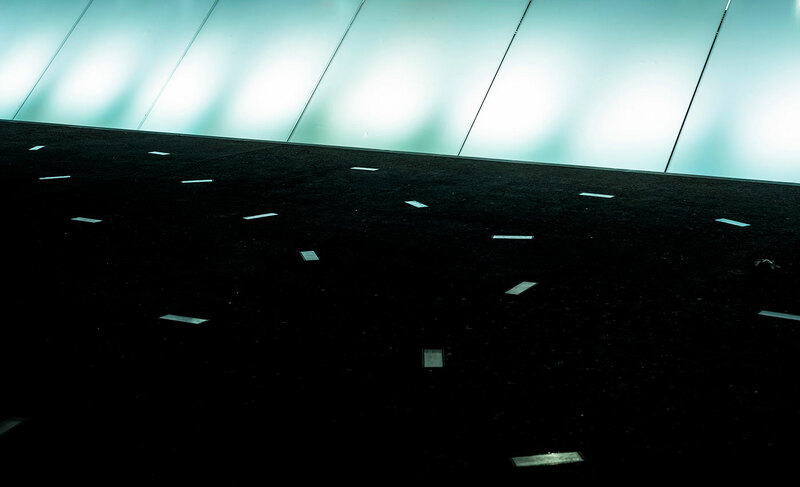 In 2002, after an international competition, Krzysztof Wodiczko’s project was chosen by the City of Nantes. A globally acclaimed artist, Krzysztof Wodiczko collaborated with Julian Bonder, an architect long committed to the relationship between history and public spaces. Their proposal was a meditative walk among symbolic sites in the port of the City of Nantes and its activities, the Quai de la Fosse. The final proposal was presented to the City Council in 2005, the project management team was chosen in 2006, and ground was broken in 2010. According to Wodiczko and Bonder, in artistic terms, « the conception of the Memorial focuses on two fundamental gestures: exposure and immersion, which combine to create a literally multi-layered experience ». The Memorial is thus based upon a two-fold perspective, first turning towards the city on the banks of the Loire estuary, a location made remarkable and physically supported by massive embankments, interrupted in the places the river was filled in. Second, it is linked to the ocean, which transported the triangular trade in human lives that brought such prosperity to the city. 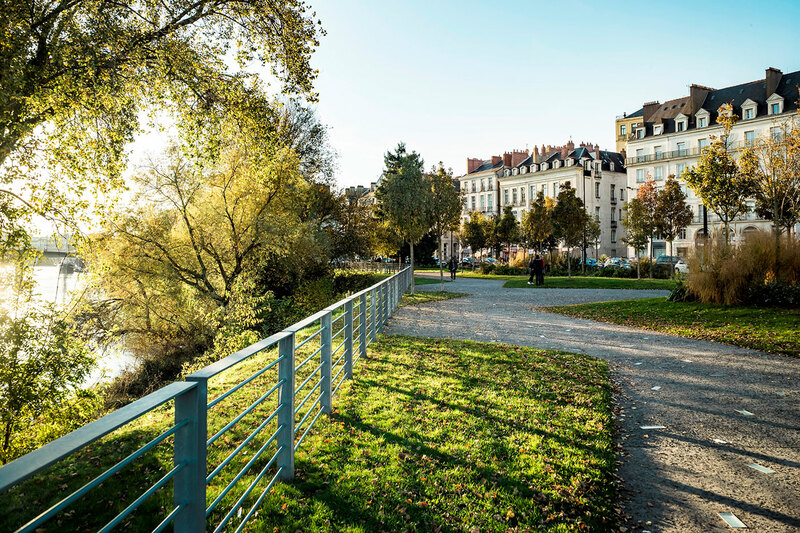 The most striking aspects of Nantes’ geography are its almost intimate connection to the Loire River and the Atlantic Ocean. The tidal ebb and flow in the Loire River estuary provide a dynamic, ever-changing backdrop to the Memorial’s design. Visitors walk « to the sea » along a path that follows the city’s 19th century docks, at times entering 20th century structures that are reminders of the extremely confined conditions under which slaves crossed the ocean under the decks of slave ships. These spaces help to convey the emotional force of the symbolic and literal imprisonment represented by the actual transportation and housing of slaves. A massive glass plate rising at a 45° angle as if it had been thrown across the Memorial celebrates the break with this horrible past represented by the abolition, the site of an underground passage that forms the heart of the Memorial. 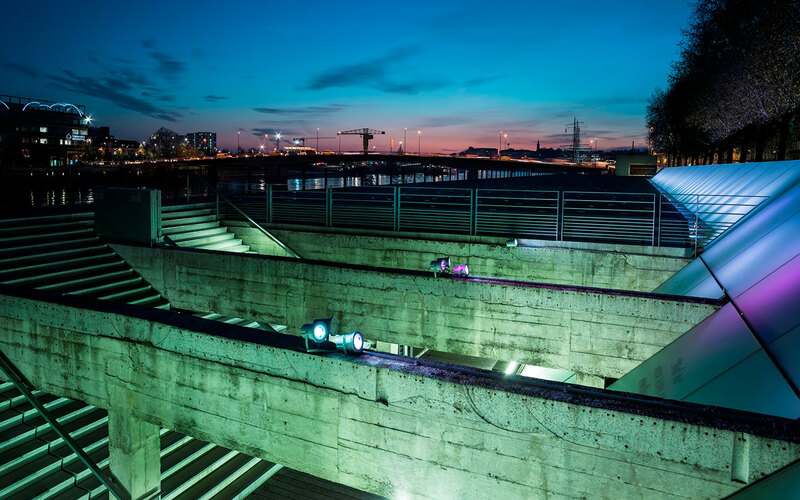 In April 2012, Julian Bonder and Kristof Wodiczko were awarded the European Prize for Urban Public Space for their extraordinary design. Wodiczko and Bonder’s collaboration was launched in Cambodia in 2003. Krzysztof Wodiczko is an artist and a professor in residence of art and the public domain at the Harvard Graduate School of Design in Cambridge, Massachusetts. Julian Bonder is an architect and an associate professor of architecture at Roger Williams University in Bristol, Rhode Island. The Wodiczko + Bonder partnership focuses on art and design projects for public spaces and seeks to raises questions involving social memory, struggle and emancipation within the contexts of urban and domestic violence, war and post-war trauma, global immigration and population displacement, the Holocaust and genocides, the Argentinian Desaparecidos, the American Civil War, and slavery both past and present. Urban public spaces are among the most powerful, sustainable settings for communication and cultural expression. Wodiczko + Bonder’s approach flows from their commitment to the advancement of democratic potential and the vitality and use of space through the creation of innovative, transformative and communicative works of art and design.